You are here: Home / Politics / Ottawa Watch / OttawaWatch: Are there any adults left? OttawaWatch: Are there any adults left? Today, we turn our attention to William Swinimer, Conrad Black and Shaul Mofaz. Some of his fellow students complained, variously, about the wearing of the shirt and the implied message that Jesus detractors were wasting their own lives. At first, the school authorities suspended Swinimer. Then, much more sensibly IMHO, they invited him back to school, Not only that, but they wanted him to be a part of a facilitated discussion with several students, about things like religious tolerance, free speech, respect for others and other neat related subjects. That discussion was nixed when Swinimer’s father said he would only permit the lad to attend regular classes, not any apparently frivolous attempts to create understanding and goodwill. 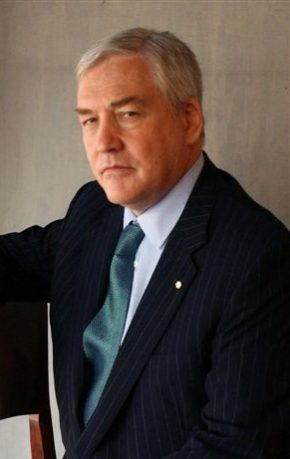 Conrad Black, the former newspaper baron and continuing distinguished biographer/columnist, has now completed his prison term in Florida and is back in his long time home in Toronto. It is interesting that the completion of his sentence took place just a few days after the death, at 80, of another former inmate, Charles Colson. And, as it happens, both men were/are serious adherents to the Christian faith. Colson’s post-Watergate conversion to Christ, in fact, catapulted him into prison reform activism and advocacy for restorative justice. Those roles surprised a lot of his former critics. During his incarceration, Black occasionally weighed in on prison reform, as well. At times, he waxed critical on some aspects of the current Canadian government’s “tough on crime” stances. He drew on some of his inside-the-big-house experiences to bolster his arguments. Just this morning (May 9), one of my colleagues, Tom Korski of The Hill Times asked Public Safety Minister Vic Toews, whether he might want to take some of Lord Black’s advice. Toews’ answer was non-committal. But it wouldn’t surprise me if the minister, who is a sometimes-errant-sometimes-devout Mennonite, would consent to sit down in private with Black. Despite his tough exterior, Toews occasionally hints of a desire to get offenders with serious mental or conflict issues the kind of help they really need, rather than always advocating a straight tough-on-crime regime. That speaks to me of a person who might be open to whatever constructive insights Black might have picked up as a “guest” of the American prison system. Shaul Mofaz, leader of Israel’s centrist Kadima party, is his nation’s newest deputy prime minister. 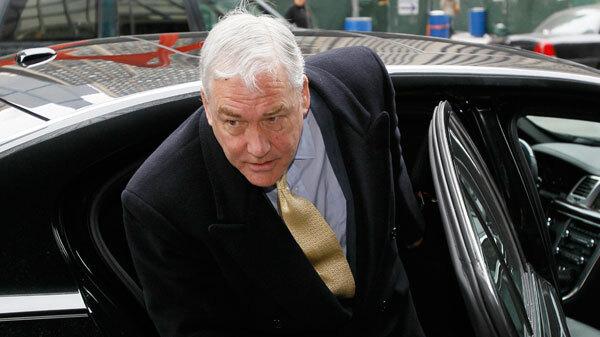 He gained that office by virtue of a surprise agreement reached Tuesday. In that pact, Kadima was added to the list of coalition parties making up Prime Minister Benjamin Netanyahu’s Likud-led right-leaning government. The day before, Israeli voters had been expecting Netanyahu to send the nation to the polls as early as September. Now, it won’t happen until October, 2013. The agreement means that the government now consists of Kadima on the left side of the coalition and several smaller right-wing parties, some religiously orthodox or conservative, on Likud’s right flank. The combo holds 94 of the 120 Knesset seats. The chief benefit to Netanyahu, besides some needed stability, is the opportunity for him to draw from centrist concepts on issues involving relations both with the Palestinians and Iran. Mofaz is on record as opposing an early war confrontation with Iran. And his party also takes a more conciliatory approach to negotiating with the Palestinians than do the parties on Likud’s right. And, now we take up the reason for the “Are there any adults left?’ headline. This morning, before starting to write, I discussed the subject matter with Alex Binkley, a veteran Press Gallery colleague who applies his common sense journalistic practices to a range of issues. You can read him on www.ipolitics.ca. When I finished talking about the three subjects – Swinimen, Black and Mofaz – and their potential for contributing to constructive discussion on oft-contentious subjects, Binkley suggested the headline question. And it is a question. I leave the answers for OttawaWatch readers to provide themselves. Just this, I would note: All three of the subject persons have great opportunity to work with others in mature – or adult – relationships. And, in so doing, their faith stances can play constructive or divisive roles. I would encourage the former.